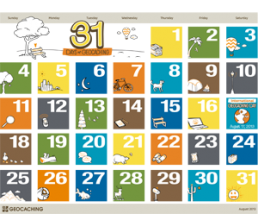 Groundspeak have set the challenge: August has been set as "Souvenir Month" where you can get a Souvenir for each day that you find at least one geocache! It is a great and fun challenge, ensuring you get out and about finding those elusive containers and signing the logbook. Make sure to attend one of the many events as those count as a smiley too. Good luck! Be sure to attend one (or more) of the Events: There are a number of events that are on the go for this special day. Be sure to attend at least one of them or a few of them. GoSA managed to get special permission to use the facilities of the Hartebeeshoek Radio Astronomy Observatory Station (HARTRAO), in Hartebeeshoek off the R400. There will be a CITO along the way, 6 new caches up for grabs in the Skeerpoort area and then the relaxing bring and braai event at the Station. Pannie&Medusae is also hosting a breakfast event in the East of Pretoria and Bunzies is hosting an Event in Rustenburg. At the moment GoSA is working on getting its website back on track, as we know you rely on the "Upcoming Events" link. 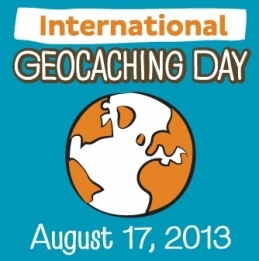 In the interim, please use this link via geocaching.com: Link to all Events.